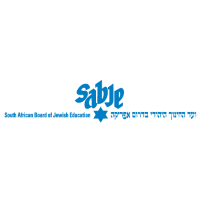 The South African Board of Jewish Educations’ King David Schools network currently employ an exceptionally diverse staff, comprising Jews and non-Jews, with widely differing levels of background knowledge of Israel. As a Zionist organization, SABJE has a goal of deepening the understanding of and engagement with Israel among staff and students alike. This includes bridging the gap in Israel knowledge and experience among its staff, and also helping staff form a positive personal relationship with Israel in order to transmit positive values to the students. To address this need, the SABJE is in the process of creating a program to send its entire teaching staff to Israel for a 10-12 day professional trip, in smaller group cohorts. In order to better prepare the teaching staff, and to maximize the potential of the Israel Experience program, the SABJE is creating an online course that teachers will be required to attend before the trip. The course will cover five central topics; History, Geography, Culture, Internal Politics and the Palestinian Conflict. These five categories are expected to give participants a deeper knowledge of both modern and ancient Israel, while assisting them in developing an understanding of the importance of a Jewish state. The online courses will take between 20-30 hours in total to complete. Teachers are expected to complete the course over a 2-6 month period, and will be contractually obligated to complete the courses before joining a trip to Israel. They will also be required to remain in the school for a period afterward in order to integrate Israel into their teaching. The courses will be dynamic, if a teacher struggles with a unit the course will require further study. The courses will be online in order to allow teachers to take them at their own pace. Development of the course is already underway, with plans for the first cohort of teachers to arrive in Israel during December 2015. The Pincus Fund is pleased to assist a network of Jewish schools create a deeper connection with Israel for their staff, and thus students, and is excited by the possibility of expanding these online courses and seeing them utilized in other situations.